All sorts of things can end up in your bin, but things like plastic packaging don’t really produce any smells. What will persuade your bin to start getting its stink on is food waste, or for that matter anything that’s biodegradable. Both the slow initial breakdown of organic substances and their subsequent consumption by microorganisms can produce an array of unpleasant-smelling chemical compounds. 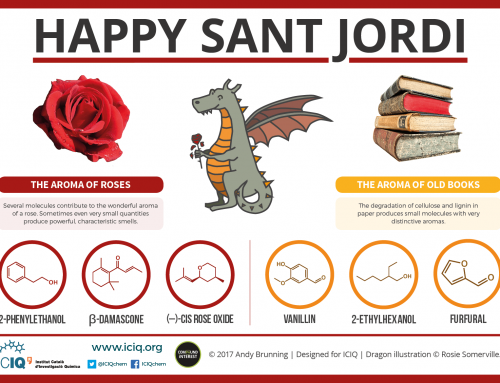 When considering which compounds make the biggest contribution to the smell, it’s not quite as simple as considering which compounds are given off in the highest quantities. 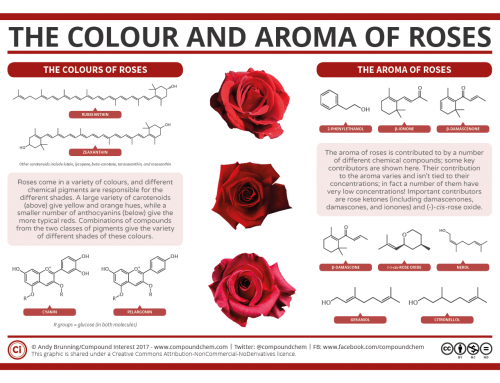 This is because different compounds have different “odour thresholds” – the amount of a compound that needs to be present for us to be able to smell it. Some chemicals have very high odour thresholds, meaning there needs to be a lot of it around for us to be able to smell it, while others have very low odour thresholds, meaning very little is needed. Some of the compounds which make the biggest contribution to the smell of garbage are those which contain the element sulfur. 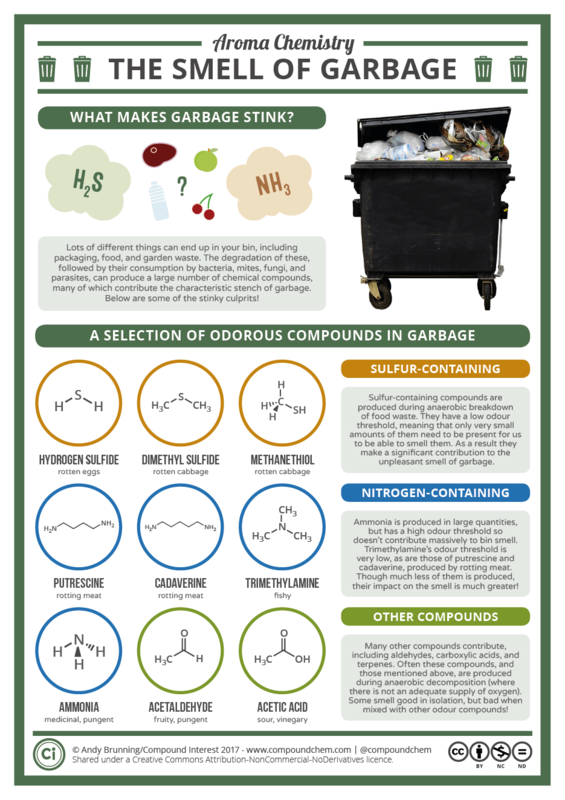 Sulfur-containing compounds often have a pretty unpalatable odour, and those produced in your bin certainly don’t buck this trend. Hydrogen sulfide smells like rotten eggs, while both dimethyl sulfide and methanethiol smell somewhat like rotten cabbage. 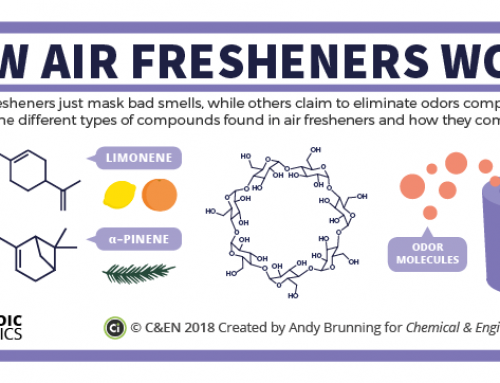 They all have pretty low odour thresholds too, so even a few micrograms floating around in your air is going to assault your sense of smell pretty heavily. 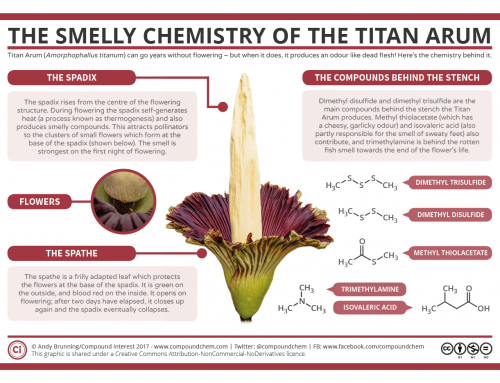 As well as the sulfur-containing compounds, there are a few nitrogen-containing compounds which contribute unpleasant aromas all of their own. First up are the delightful sounding amines, putrescine and cadaverine. As the names might suggest these are produced when meat decomposes, so if you’ve popped that plastic packaging your burgers, steaks, or mincemeat came in straight into the bin you can expect them to come calling. They’re produced when meat decomposes, and unsurprisingly their smell is pretty much like that of rotten meat. Another nitrogen compound generated in much larger quantities is ammonia. Compared to the compounds we’ve mentioned so far, the odour threshold for ammonia is pretty high, at 27 micrograms per metre cubed. A compound derived from ammonia, trimethylamine, might be emitted by your rubbish, particularly if you’ve been throwing fishy waste into your bin. Trimethylamine is the compound that makes fish smell like, well, fish, and as the remnants of your fish dinner fester in the trash, trimethylamine gets added into the foul gas that’s emitted every time you open it. It’s not just nitrogen and sulfur-containing compounds that contribute, even though they do tend to be the big hitters. 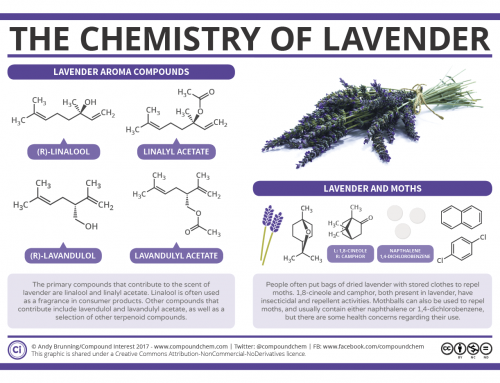 Other compounds can be generated as your waste breaks down, including carboxylic acids, aldehydes, and even terpenes (which in isolation usually smell quite pleasant, but in your bin… yeah, not so much). Acetaldehyde is often highlighted as a particularly pungent contributor, and carboxylic acids like acetic acid (vinegar-like), butanoic acid (vomit-like), and propanoic acid (rancid) are also often present. So what can you do to combat bin-stink? Well, there are a few factors which you can try to control. Higher temperatures will speed up the decomposition of organic matter in your bin, and will also increase the amounts of smelly chemicals emitted by your bin. Keeping food waste separate from your regular bin can also keep it smelling fresh. Other than that, not leaving it too long to empty the bin is probably your best bet!